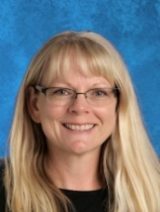 Wendy Willis joined the Meadow Montessori teaching faculty as a Lower Elementary Teaching Assistant in 2017. She has been a member of the Meadow Montessori Community since 2008. Wendy graduated from Old Dominion University with a BS in Psychology. Wendy lives in Monroe with her husband Bill, and two children, Nicholas and Kira. Wendy enjoys cooking, running, and going to the beach with her family.